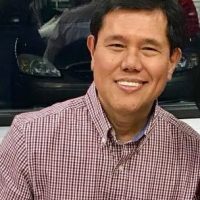 Board of Directors - Balikatan Ng Mga Kristiano, Inc.
Landy lives in Oakville, Ontario, Canada, and is married to Annabelle Salveron Ancheta. They have two married daughters, Nikki and Katrina. Landy and Annabelle are alumni of State Varsity Christian Fellowship (SVCF) at the University of the Philippines (UP) Diliman campus, and are active members of the “Kabalikat sa Ontario” (KSO), a fellowship group of Intervarsity Christian Fellowship (IVCF) alumni, and their families and friends, who reside mostly in the Greater Toronto Area in Ontario, Canada. Landy’s initial involvement with Balikatan was as an attendee to the 1999 Balikatan Conference in Ancaster, Ontario. Landy is honored and privileged to have been with the Balikatan Board since 2006. Lilia Nigro was actively involved with State Varsity Christian Fellowship (SVCF) during her student days at the University of the Philippines (UP) Diliman, and became its president in 1977 after attending Kawayan Camp that same year. She joined the Graduate’s Team in Baguio City for a year and a half after her graduation from college in 1978. 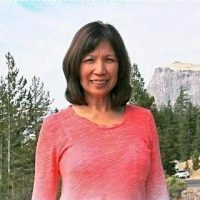 She came back to do her Master’s program at UP Diliman until her departure to Canada in 1984 to pursue her Ph.D. at University of Manitoba, Winnipeg, MB. 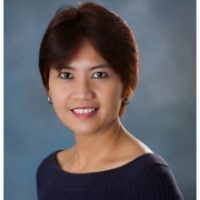 She attended some Balikatan activities during those years and has been involved with leadership[ at Bay Area Balikat (BABalikat) and the Board in the last decade or so. She lives in Vacaville, California with her husband, Vincent, where she is also in private practice as a psychologist. An “Old Testament in the New Testament” disciple, Edna is dedicated to all things scriptural, historical, relevant and eternally purposeful. Jesus Christ became her savior and Lord when she was nine years old, and State Varsity Christian Fellowship (SVCF), a devotion in her college years at the University of the Philippines (UP) Manila. She attended Kawayan Camp (KC) ’91, and was a regular contributor to UP-SVCF newsletters and devotional leaflets. She is also an alumna of FEBIAS College of Bible and Godon-Conwell Theological Seminary where she earned her Master of Divinity degree. 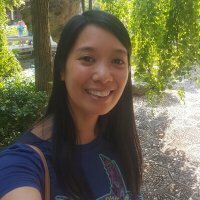 She is based in the Washington DC Metro Area, working in the field of human services (and disaster relief ministries). Her first engagement with Balikatan was the 2001 Boston (Massachusetts) Conference where she served with the Host Planning Committee. Norma is based in San Leandro, California. She took a one year Basic Bible Course (BBC) at FEBIAS College of Bible after high school. Norma realized that God has a wonderful plan for her when she chose to study in the university over Bible school. Her involvement with intervarsity Christian Fellowship (IVCF) started on the very first year of her college days when she joined Warriors Christian Fellowship at University of the East (UE)-Recto. She was a Kawayan Camp ’85 graduate, and came back as one of the counselors in Kawayan Camp ’95. 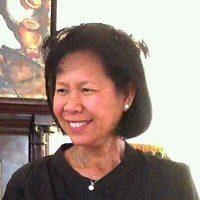 Norma also became a member of the Bay Area (BA) Balikat in Northern California. The first Balikatan Conference she attended was in Chicago in 2006. Ramon currently serves as Director of Publisher Development at Media Associates International (www.littworld.org) . He and his wife Grace with youngest son Jeremiah Daniel move to Chicagoland in 2012. They have been since Mission East Asian National Support (MEANS) volunteers. Their three other grown-up children are based in the Philippines: Ida Ingrid (with son-in-law Alfe), Sophia Monica, and Ramon IV. 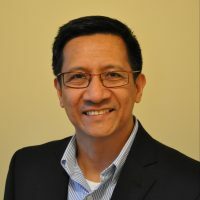 Ramon III was formerly the Chief Executive Officer (CEO) of OMF Literature, Philippines for 11 years. He served with the Intervarsity Christian Fellowship Philippines (IVCF) Board for several years. He was a freshman at the University of the Philippines (UP) Diliman in 1975 when he first heard the Gospel through the ministry of State Varsity Christian Fellowship (SVCF). He disciple Grace who joined the fellowship in 1977. They got married in 1984. 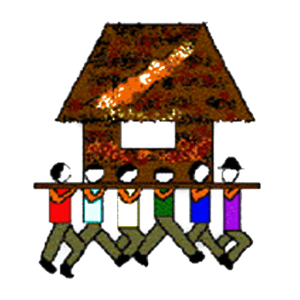 Prior to their meeting, Ramon was a member of the secret and exclusive group called Sagusi. Lina’s involvement with Inter Varsity Christian Fellowship Philippines (IVCFP) was through Cardinal Christian Fellowship (CCF), an IVCF Chapter at Mapua Institute of Technology (MIT) as faculty adviser from 1980 – 1986. From 1986 to 1996 Lina worked with World Relief at the Philippine Refugee Processing Center (PRPC) Morong, Bataan and Palawan First Asylum Camp (PFAC) as teacher of “English as Second Language” (ESL) and Director of Spiritual Ministries. 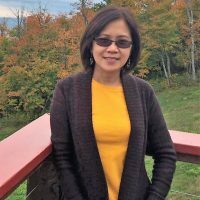 With the need for Vietnamese, Khemer, Laotian and Chinese speakers in ethnic refugee churches, she was sent to lead a workshop on Volunteerism at the URBANA Student Mission Convention in Champaign, Urbana, IL in 1990 and 1993. She started attending Balikatan in 2014, and is blessed to have a big IVCF family who love the Lord. Rebecca lives in Virginia Beach, VA with her dog Bella. She currently serves as a compliance officer at BB&T bank where she has worked for the past 17 years. Her parents, Efren and Fe (Cruz) Echipare were part of SVCF at UP-Diliman. Rebecca’s first Balikatan conference was in 1987 in Chicago at age 5 where she and her dad performed “The Rain in Spain” from “My Fair Lady” at Fun Night. She and her sister, Elizabeth, grew up as Balikatan youth and regularly attended the conferences with their parents. Rebecca is excited to see where God leads as she serves on the board and learns more about Balikatan and IVCFP.